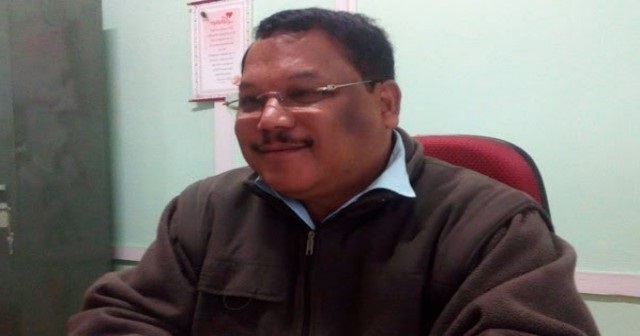 Meghalaya’s ruling National People’s Party (NPP) has challenged the Congress to put up a candidate in the upcoming by-election for the Ranikor Assembly constituency whose elected representative M M Danggo recently quit the MLA post as well as the Congress party. Interacting with media in Shillong on Friday, NPP president, W R Kharlukhi was of the view that the Congress party would become a non-entity especially in Khasi-Jaintia Hills region of the State and they would not even get a candidate to contest Ranikor by-election. He further said that there was no bar on any party of the coalition to contest the election adding that the coalition was working together and they have no problem over the issue of contesting the by-election in Ranikor. On the other hand, senior Congress leader, Charles Pyngrope said that Congress would definitely put up a candidate in Ranikor. The by-election in Ranikor has been necessitated as the former Congress MLA, M M Danggo resigned from his post as an MLA recently and he will seek re-election from the constituency as an NPP candidate. The date for the by-election is likely to be announced shortly. While the UDP and NPP are contesting the election, PDF chief P N Syiem is also projecting himself as the common candidate and a decision to finalize his candidature is likely to be taken in the first week of July.